AFL Queensland last night announced the make-up of teams in the new South East Queensland male competition structure at the Queensland Community Football Awards at the Gabba. The new structure will feature 50 senior teams across the QAFL and the five divisions of the expanded QFA. The Jindalee Jags join the competition for the first time at senior level, as a member of the seven team QFA Division 5. The QAFL will feature a bye in 2017, with the University of Queensland participating in QFA Division 1. 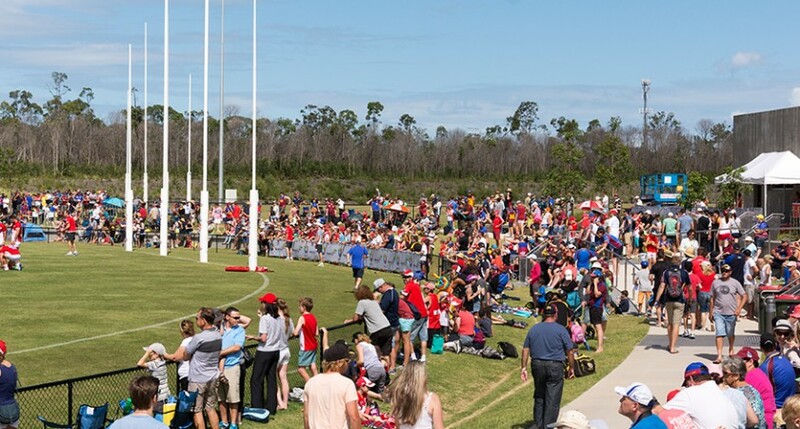 The QAFL will stretch from Brisbane North through to the Gold Coast, whilst QFA Division 1 will span across SEQ from Noosa in the north to Burleigh in the south. AFL Queensland State Football Operations Manager, Barry Gibson, said aligning teams to competitions was a relatively seamless exercise. “The process of allowing clubs the opportunity to nominate for the competition they wished to participate in was a positive exercise,” Gibson said. Gibson said there is a genuine level of excitement and optimism from clubs in regards to where they are placed. “We are confident that we have six evenly balanced and competitive competitions, headlined by the QAFL and underpinned by QFA Division 1 which we believe will be a high quality comp,” he said. The QAFL will remain a standalone competition with clubs from the QFA seeking to join the QAFL will go through a formal application process. Divisions 1, 2 and 3 of the QFA will be automatic promotional and relegation, with the premier to be promoted and the club finishing last to be relegated. The division 1 premier will not be promoted into QAFL and, similarly, the club finishing last in division 3 won’t be relegated. The current Friday night competition will become QFA Division 4 and 5 and will feature promotion and relegation between the two divisions. Games will continue to be played on Friday nights and will feature single teams only. The Colts structure is pending the outcome of a junior/youth football review, with the review committee scheduled to formalise their recommendations in the next four weeks. The launch of the National Women’s competition has been the catalyst for a review of the South East Queensland senior women’s competition structure. The review is underway, with clubs meeting for a second time on September 5.